By 1939, Hewlett had done some pioneering work on an audio oscillator. He, Packard and Terman decided the oscillator would make a fine "first" product for Hewlett-Packard. The camaraderie of the electronics industry in those days served as a precursor for what would follow during the rise of the semiconductor industry in the 1950s and 60s and the rise of the PC and internet industries in the 1980s and 1990s. Companies would help each other out, and often swapped talent and/or gear with Stanford. Packard, for example, buddied up with Russ Varian and later Hewlett-Packard received a lot of help from Charlie Litton. "(Litton) gave us access to his shop so we could do things we weren't able to do accomplish in the garage on our own," Packard said. 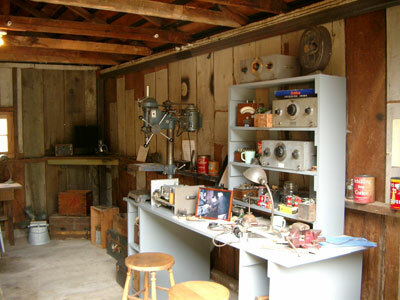 Hewlett and Packard, however, did much of the production work on the Model 200A oscillator at their garage and in their house. When we started making the audio oscillators, we bought the cabinets but made the panels ourselves. We sawed them out of aluminum and drilled the holes. Then we'd spray-paint them at home and use the kitchen oven to bake the paint. Lucile was said to have remarked that her roasts "never tasted the same" after they had baked the paint in the oven. Then I'd take the panels up to Charlie's and engrave all the designations on the panels through the paint. Next, we calibrated the dials by setting up a frequency standard. Then we marked the dial with a pencil and I'd go back up to Charlie's and engrave those pencil lines. In the beginning, each of the oscillators was individually calibrated. There were always a few tricks involved in using the engraving equipment, and Charlie knew them all. I suppose we could have eventually done many of these things on our own. But having Charlie Litton and his equipment there made an important difference during a period when time and money were very tight. He never saw us as competitors but always as compatriots. The oscillator attracted immediate attention from a number of companies. But Disney's purchase of the product is the only buy to have entered into HP lore. While many have portrayed Disney's interest in what would become the Model 200B as a make or break moment for HP, Packard denies that this was ever the case. "The truth of the matter is that with or without the Disney sale, Bill and I were determined to move ahead with our company." 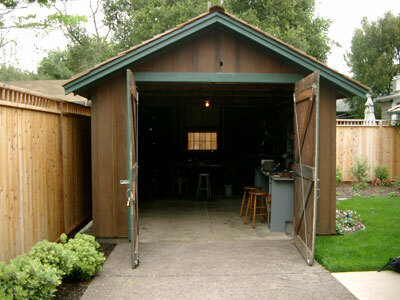 In the Fall of 1939, two occurrences made life in the garage untenable. For one, HP had grown to the point where it needed more workers. After its first full year in business, HP brought in $5,369 and posted a $1,563 profit. Secondly, Hewlett had fallen in love with and married Flora Lamson. He could hardly bring the blushing bride back to a shack outside of Packard's house. So, Hewlett and Packard acquired an office space near the corner of Page Mill Road and El Camino Real - two of the better known arteries in Silicon Valley. The old HP office is currently a non-descript building located behind a Cingular store. Hopefully, a CEO or two will read this because the next part of the story is top-notch stuff. Not long after setting up the new shop, Hewlett was called into service and spent most of World War II in the Army Signal Corps. Like many electronics companies in the area, HP benefitted from military spending during the war. Sales skyrocketed. Luckily for the HP workers, Hewlett and Packard had set up a type of revenue sharing compensation plan before the war started. "It involved a complicated formula, but in essence it paid everyone a bonus, as a percentage of their base pay, should production exceed certain levels. General Radio's plan applied to engineers only. But Bill and I thought everyone at HP should be included. We wanted to recognize the contributions of each individual, not just a special group." While in charge of a growing company and facing more pressures, Packard did not reward himself as handsomely as some CEOs might have at the time. Packard kept his salary even with Hewlett's military pay. As HP expanded, it moved offices once again, heading up Page Mill Road to part of what was then the Stanford Industrial Park (now Stanford Research Park). Terman had led the effort to create this park near Stanford as a way of generating revenue for the university and as a way of attracting technology-based businesses to the area. The professor hoped that the proximity of the businesses would create a flow of talent between the different organizations and Stanford. The plan worked with Varian buying the first lease and then companies such as HP, General Electric and Lockheed following. The park is still the home of HP and myriad other companies ranging from financial services firms to bio-tech companies. 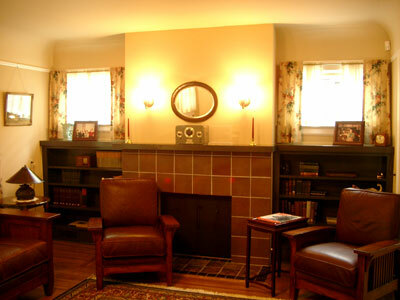 So, let's have a look at Hewlett and Packard's offices at the HP headquarters.